Most golf fans know that Jack Nicklaus has won the most major championships in golf history with 18 and Tiger Woods is second with 14, but what golfer has had the most runner-up or second place finishes in majors? Here is a list of the golfers with the most major championship runner-up finishes. In horse racing there are horses who develop a tendency to finish in second place in races instead of winning. Such horses are said to have seconditis (see * below). There are definitely golfers who have the same tendency. A prime example would be Rickie Fowler. Even though he is certainly one of the best golfers in the world, Rickie Fowler has finished in second place 13 times so far in his career vs just 4 wins on the PGA Tour. Rickie Fowler has seconditis including in golf majors where he has three runner-up finishes vs zero wins. Rickie's three runner-up finishes in majors comes up well short of making this list but he is only 29 years old. In addition to having the most wins all-time in the golf majors at 18, Jack Nicklaus also has the most runner-up or second place finishes with 19. 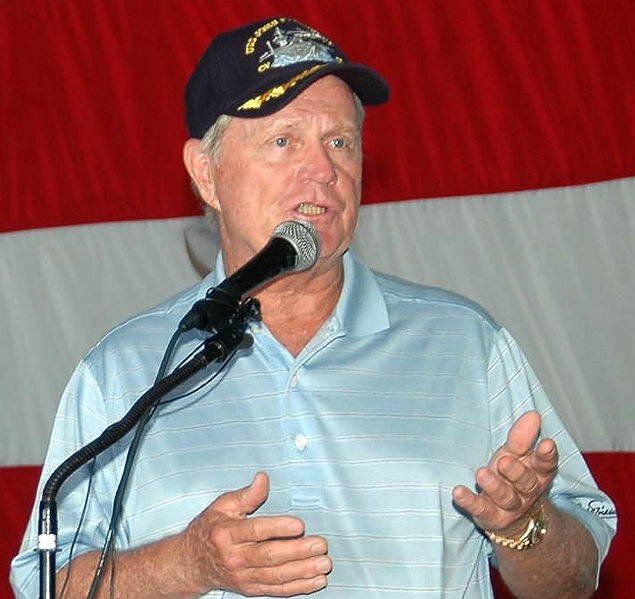 Nicklaus had a record seven runner-up finishes in the British Open, and he also finished in second place four times each at the other majors, the Masters, U.S. Open and PGA Championship. In 1964, he was runner-up at the Masters, British Open and the PGA Championship. One cannot say Jack Nicklaus had seconditis in the golf majors since he did win 18 of them. He did not have seconditis in his career, either, as he won 73 times and had 58 second place finishes. One can certainly say that Phil Mickelson has seconditis in the golf majors. While Mickelson has 43 career wins vs 35 runner-up finishes, in the golf majors he only has 5 wins vs 11 second place finishes. Phil Mickelson has famously finished in 2nd place a record six times at the U.S. Open, the only golf major he has yet to win. Mickelson also has come in 2nd place twice each at the British Open and the PGA Championship and he has on runner-up finish at the Masters. For his career, Arnold Palmer only had 38 second place finishes vs 62 wins, but in the golf majors Palmer had 10 runner-up finishes vs just seven wins. Arnold Palmer had four 2nd place finishes at the U.S. Open, three at the PGA Championship, two at the Masters and one at the British Open. Palmer never won the PGA Championship which prevented him from having a career Grand Slam. Tom Watson had eight career major wins and he also had eight career runner-up finishes in major championships. For his overall career, Tom Watson had 38 wins and 32 second place finishes. Watson never won the PGA Championship and he only had one second place finish in that event. Sam Snead did not have seconditis in his career, he won 82 times vs 57 runner-up finishes, but in the majors he only won seven times vs eight runner-up finishes. Sam Snead famously never won the U.S. Open and four of his runner-up finishes in golf majors came in that event. Greg Norman is the greatest example of a golfer with seconditis on this list. For his career, Norman had 20 wins vs 31 second place finishes on the PGA Tour and in the golf majors he had only two wins vs eight runner-up finishes. Greg Norman never won the Masters but had three runner-up finishes. He also never won the U.S. Open or the PGA Championship but had two runner-up finishes in both those majors. He did win two British Opens vs just one second place finish in that event. Norman had incredible golfing ability but he often struggled in crunch time like at the 1996 Masters when he blew a 6-stroke lead on Sunday. Tiger Woods has come in 2nd place three times at the PGA Championship and twice each at the Masters and the U.S. Open. With 14 golf major wins, Tiger Woods does not have seconditis in the majors. He also has 80 wins on tour vs just 31 runner-up finishes overall. Well over 100 hundred years ago, John Henry Taylor won the British Open five times and had six second place finishes in the same event. Taylor also finished 2nd in the 1900 U.S. Open, an event he only played in twice. Won nine golf majors and has a career Grand Slam. Won nine golf majors and also has a career Grand Slam. Won five Grand Slam events. Never won the British Open and had zero runner-up finishes in that event which he only played in twice. *. A prime example of a horse with seconditis was King Palm who raced from 2004 to 2008 on the Southern California circuit. In his racing career, King Palm finished in 2nd place an astonishing 12 times with only two wins in 26 starts. At one point, King Palm ran second in an amazing nine straight races.